Do you ever entertain at lunchtime? Every once in a while, it is fun to ask friends over for a special lunch on a weekend. There are so many good things you can make for this meal while keeping it simple, delicious and mostly made ahead to allow you time with your friends.Finish the lunch menu with a platter of delicious fruit and that is all you really need. Make these muffins well in advance and keep in the freezer. Heat in a moderate oven for about 15 minutes before serving. Place the beaten egg, brown sugar, milk, vanilla, oil and butter in a large mixing bowl. Combine thoroughly. In a large measuring cup or medium mixing bowl combine flour, salt, cinnamon and baking powder. Add to wet ingredients and mix until just combined. Stir in carrots and pecans. Divide batter evenly among 24 miniature muffin cups coated with cooking spray. A cookie scoop works well for this. Bake at 400°F for 10 minutes or until a wooden pick inserted in center of muffins comes out clean.cool five minutes in the pan and then remove to a wire rack to cool completely. The shrimp salad can be prepared the day before you are having lunch. Cook the shrimp and place in a covered container. Make the dressing and store it in the refrigerator. 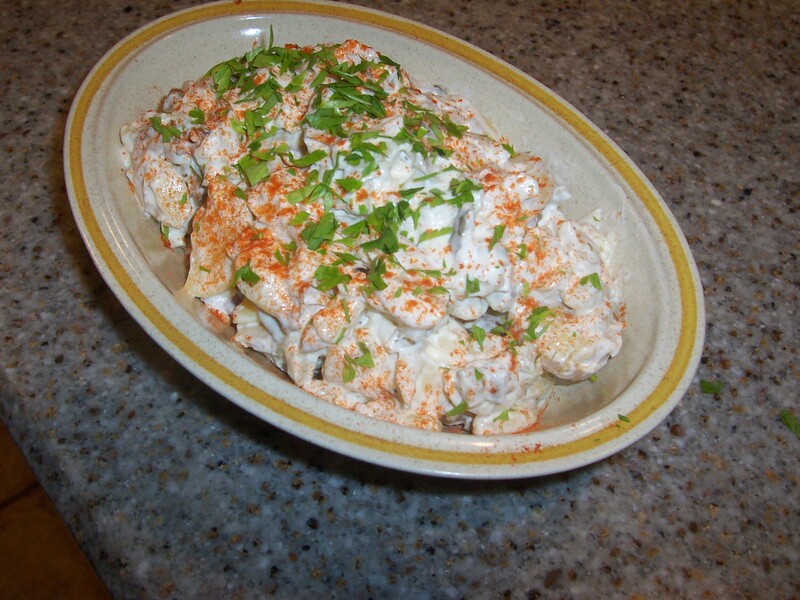 The next morning, combine the shrimp and dressing and store in the refrigerator until is time to serve. Then fill the tomatoes just before serving. Peel, remove the tails and devein the shrimp. 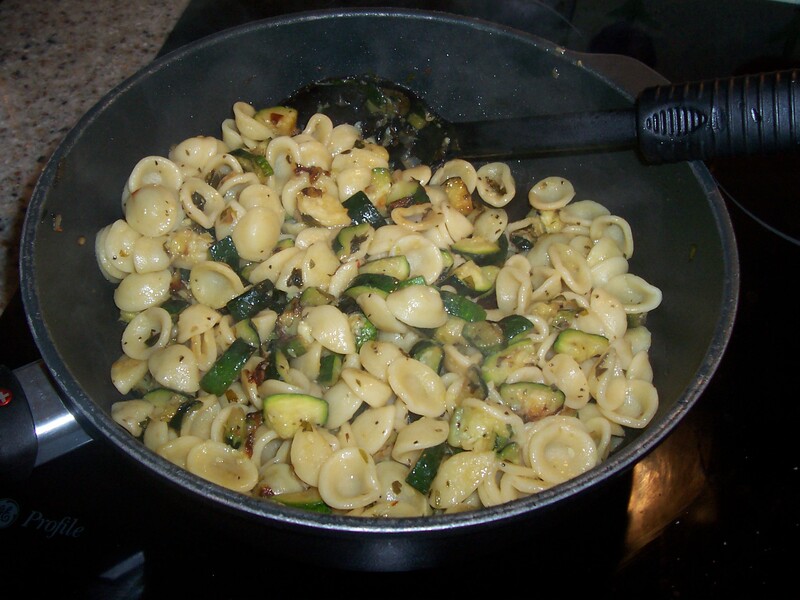 Place them in a baking dish with the olive oil, 1/4 teaspoon salt and 1/2 teaspoon pepper and toss together. Spread the shrimp out in one layer and roast for 6 to 8 minutes, just until pink, firm and cooked through. Allow to cool for 3 minutes. In a large bowl, whisk together the mayonnaise, orange zest, orange juice, vinegar, 1/4 teaspoon salt and 1/4 teaspoon pepper. When the shrimp are cool, add them to the dressing and toss. Add the dill, capers, and vegetables and toss well. Hollow out the tomatoes and fill with the shrimp salad and serve. The chowder can be made weeks in advance and defrosted overnight. I keep several soups in the freezer for just such occasions. When you become a member of a Community Supported Agriculture (CSA), you purchase a “share” of vegetables from a regional farmer. Weekly during the growing season in your area, your farmer will deliver that share of produce to a convenient drop-off location in your neighborhood. 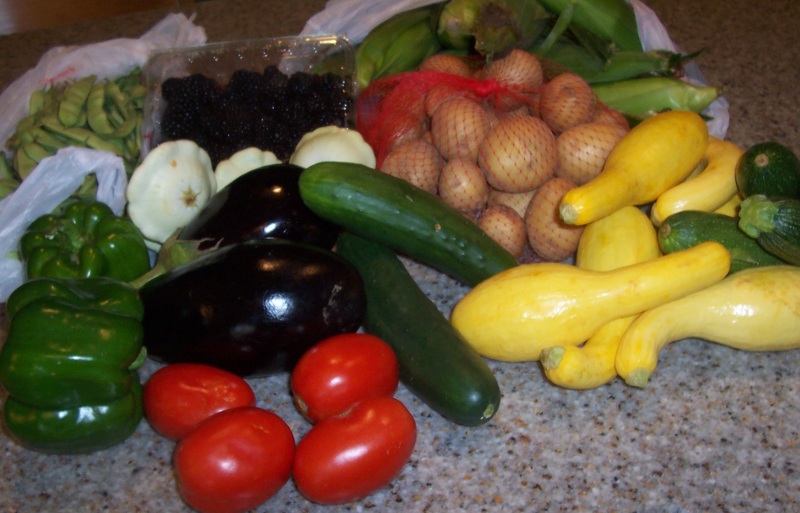 CSA members pay for an entire season of produce upfront and shares usually include 7-10 types of vegetables; enough for a family of 2-3 people. This arrangement creates several rewards for both the farmer and the consumer. The farmers receive payment early in the season, which helps with the farm’s cash flow and the farmers have an opportunity to get to know the people who eat the food they grow. The consumer gets to eat fresh picked food with all the flavor and vitamin benefits, learn more about how the food is grown and develop a relationship with the farmer who grows the food. 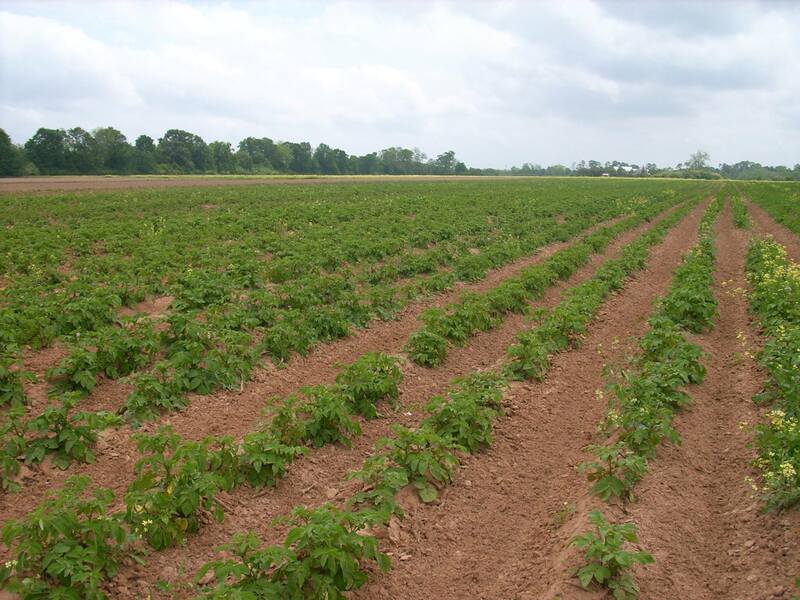 My CSA is Jeta Farms, a family owned and operated farm located in Elberta, Al. They offer a variety of vegetables and some specialty and heirloom varieties. They do not plant GMO vegetable crops. I pick up my share on Saturday mornings and the produce is truly fresh and delicious. As soon as I get my share home, I start planning the week’s menu. See the photo at the top of the post for last Saturday’s share, which included: a dozen ears of corn-on-the-cob, 2 eggplant, 4 plum tomatoes, 2 cucumbers, a package of blackberries, 2 large bell peppers, 4 patty pan squash, a pound of Italian green beans, a sack (about 5 lbs) of potatoes, lots of zucchini and yellow squash. I was able to create a whole week’s worth of meals using these vegetables. All the herbs used in the recipes come from my garden. 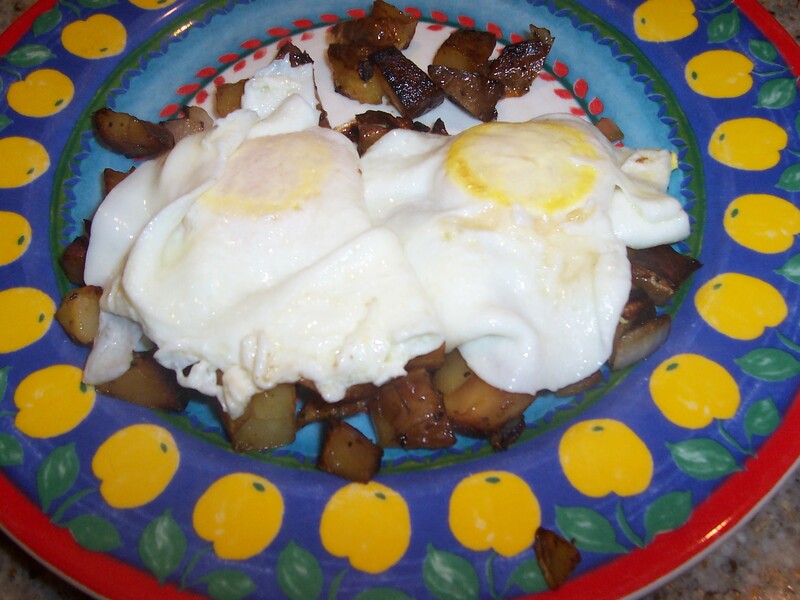 Here are some of the recipes I used for this menu. Preheat the oven to 425 degrees F. Oil two baking sheets. Dip eggplant slices in the egg substitute and then coat in the bread crumbs. Place the slices on the prepared pans and bake until brown, about 20 minutes, turning the slices over halfway through baking. Oil a 13 x 9 inch glass baking pan. 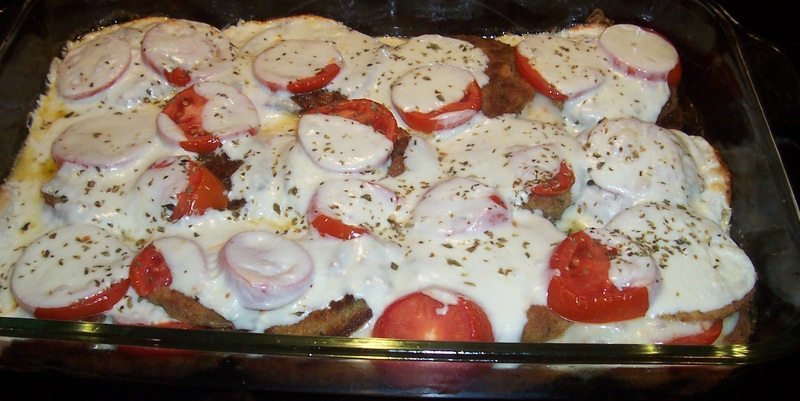 Cover the bottom of the pan with eggplant slices and add half the tomatoes and half of the cheese. Add another layer of eggplant slices, tomatoes and cheese. Sprinkle the top layer with oregano. Bake in the oven, uncovered, for 30 minutes. Let sit 10 minutes before serving. Preheat your oven to 375 degrees F. Put a kettle of water on to boil. Heat olive oil in a large skillet over medium heat and cook the ground turkey until browned..
Add the chopped garlic, onion, corn and squash; stir and heat through. Season mixture with sea salt and pepper. Stir well to combine the flavors. Remove from heat. Add in the chopped parsley and cheese. Coat a shallow baking dish that will fit the halved peppers with cooking spray. Stuff the halved peppers with the turkey mixture, pressing it in firmly. 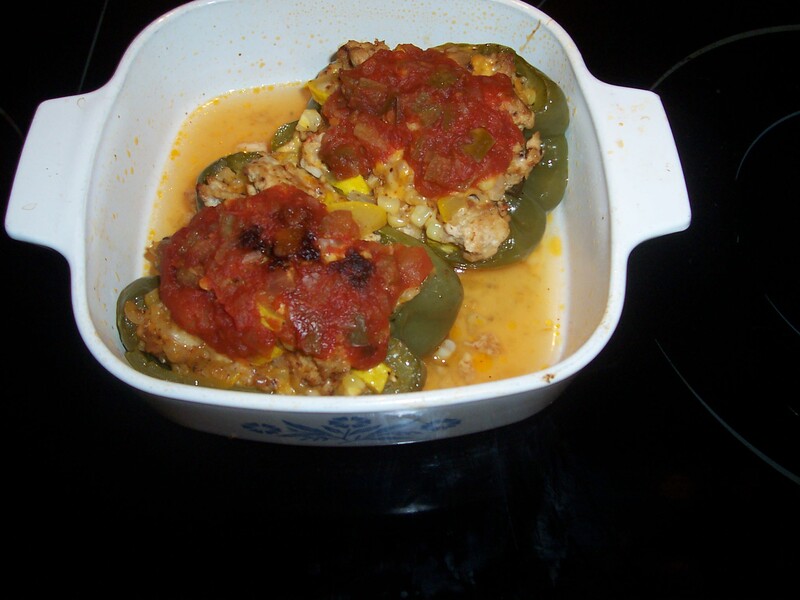 Place the stuffed peppers in the baking dish. Top each pepper with a spoonful of BBQ sauce. Pour about an inch of hot boiled water into the bottom of the baking pan, around the peppers, and loosely cover the pan with a foil tent. This helps to cook the peppers. Bake for 40-45 minutes, until the peppers are fork tender. Prepare a gas or charcoal grill fire. In a colander, toss the squash with 2 teaspoons kosher salt and drain for 30 minutes; transfer to a large bowl. Meanwhile, put the basil, Parmigiano-Reggiano, 1/4 cup of the olive oil and 1/2 teaspoon salt in a food processor and purée until smooth. In a small saucepan over medium-low heat, boil the balsamic vinegar until syrupy and reduced to about 2 tablespoons., 8 to 10 minutes. Mix the squash with the remaining 2 tablespoons extra-virgin olive oil and a few grinds of freshly ground black pepper. Grill, turning once, until golden and tender, 8 to 12 minutes. 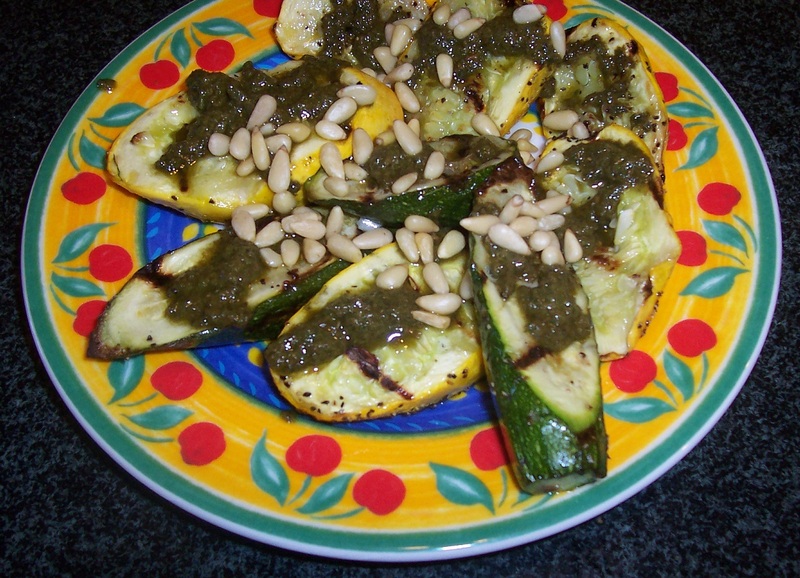 Arrange the squash on a platter, dot with the pesto and balsamic syrup. Sprinkle with pine nuts and serve. Bring a large pot of salted water to a boil over high heat. 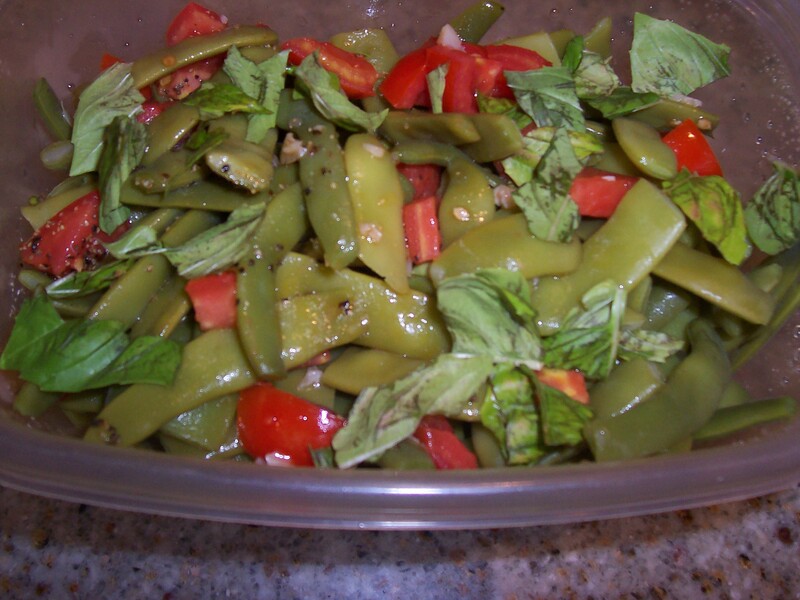 Add the green beans and cook for 5 minutes. Drain immediately. 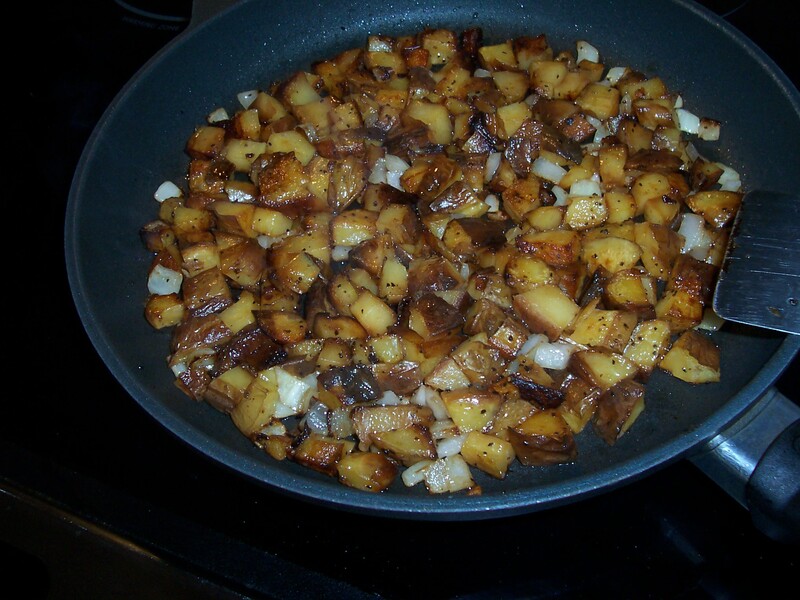 While the beans are cooking, heat the oil in a medium sauté pan or skillet over medium-high heat until the oil shimmers. Add the garlic slices, distributing them evenly. Cook for 4 to 5 minutes, until the slices become almost translucent and start to brown on the edges; be careful not to let the garlic burn. Add the diced tomato and salt and pepper to taste, then reduce the heat to medium. Cook for 2 to 3 minutes, so that the tomato is heated through. Add the cooked green beans and heat through for 1 to 2 minutes; mix well. Taste and adjust seasoning as needed. Transfer to a serving dish and top with the basil, if desired. Serve warm or at room temperature. Cut the corn kernels from the 8 cobs and reserve the corn and cobs separately. 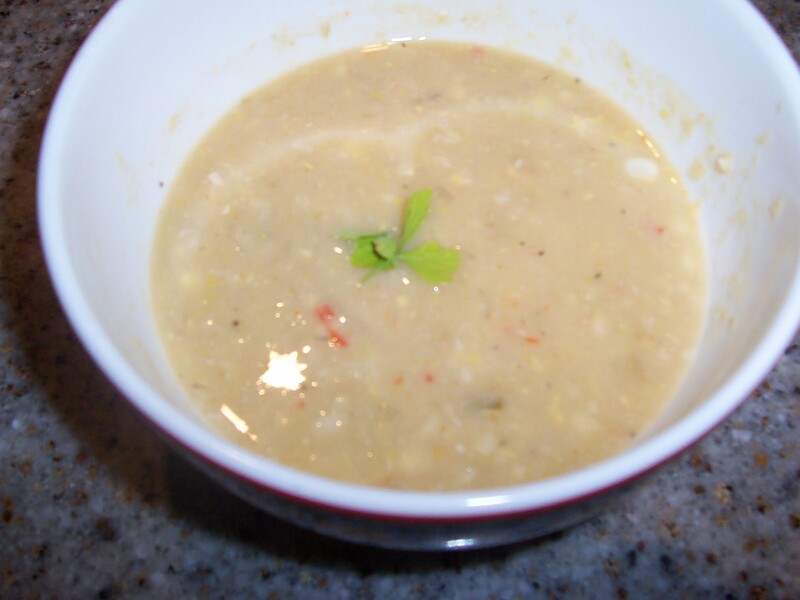 Place the corn cobs and 4 quarts water in a large soup pot. Bring to a boil over high heat and immediately reduce to a simmer and cook for 45 minutes. Remove the cobs and discard. Add half the reserved corn and all the vegetables to the soup pot and return the broth to a boil; reduce the heat to a simmer and cook for 25-30 minutes or until the vegetables are tender. With an immersion blender, puree the soup right in the soup pot. Add the seasonings, remaining corn and milk. Heat on low for about 15 minutes or until the corn is tender. Combine the garlic, salt, anchovy fillet and capers in a food processor. With the motor running add the olive oil with the parsley and blend to a purée. Season to taste with salt and pepper. If serving within a few hours, allow to sit at room temperature. Otherwise, refrigerate and allow to come to room temperature before serving. Slice the patty pan squash in half horizontally and coat with the olive oil. Season with salt and pepper to taste. 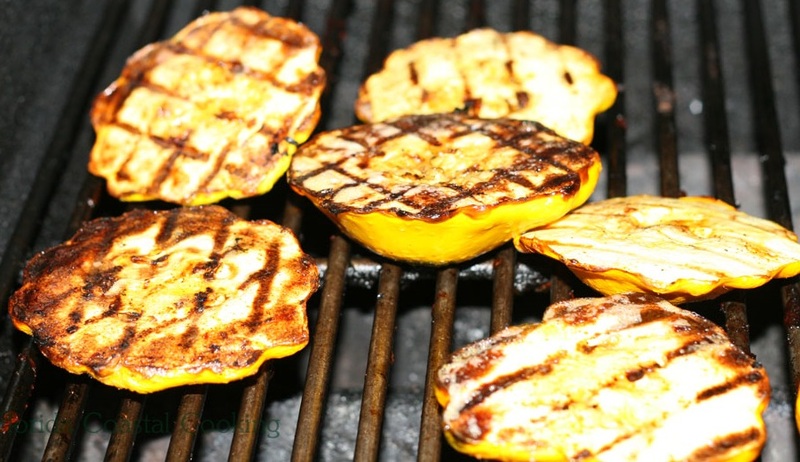 Grill the squash for about 5 minutes on each side or until they are tender all the way through. Transfer the squash to a serving platter. Top each one with a teaspoon or two of the salsa verde and serve.